Viola Dolce: Meet your wedding musicians (sous-titres français). String quartet & trio for your wedding or event. 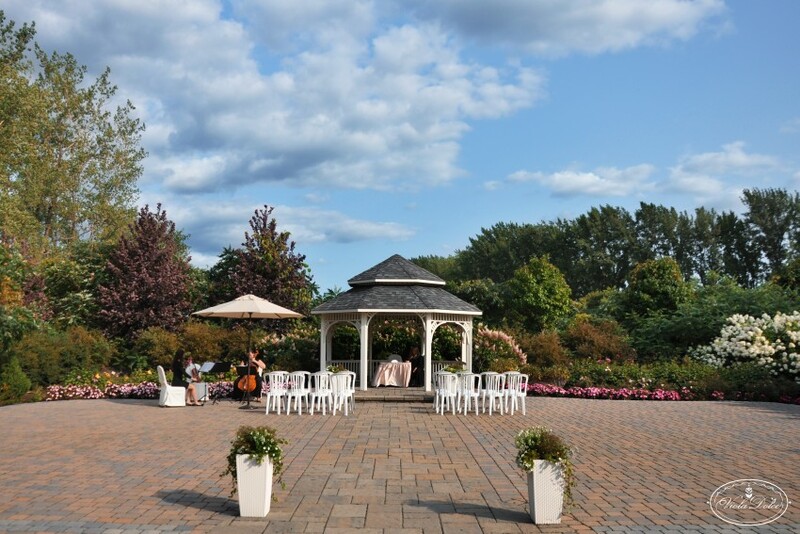 The Viola Dolce musicians can perform music for your ceremony, cocktail, &/or dinner. Music styles can include classical, pop, light jazz, movie themes, and more. Services also offered for other events including birthday parties, corporate functions, galas, etc. Service in Montreal & surrounding areas. Pascal was great to work with, he went above and beyond helping scout locations, arranging the music and giving tons of great suggestions. The performance was magically perfect. I would hire them again in a heartbeat. Perfect from beginning to end! We couldn't have asked for better musicians for our wedding! From our first email inquiry to the final touches, Pascal and team were extremely responsive, accommodating, insightful and professional. They are clearly very experienced and made sure to iron out details we never would have thought of well in advance of our wedding such that we had nothing to worry about the day of. We received plenty of compliments from friends and family after our wedding and couldn't be happier we had the opportunity to work with Viola Dolce! Viola Dolce helped me plan my surprise proposal, I had a particular rock song that I wanted for the surprise and they worked on the arrangement, and sent me files for approval. It was breathtaking! For the proposal, my future wife an hour late (it's was a surprise so hard to plan!) and they waited patiently and quietly until she finally arrived. They were true partners in helping me pull of the perfect proposal, and played beautifully. They also performed at our wedding cocktail, which my wife and I unfortunately missed (pictures etc), but our guests absolutely loved it and continue to talk about it. Very friendly and professional, amazing musicians, and they truly care. Recommend 100% for any occasion. 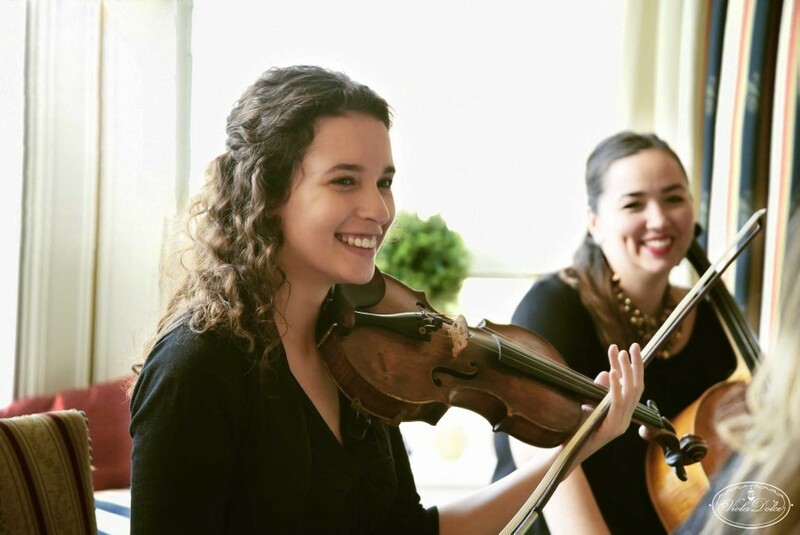 Montreal Trio Viola Dolce did a fantastic job at my daughter's wedding. Beautiful music, perfect timing. A very professional group of talented musicians that I highly recommend! The string quartet was amazing and Pascal was extremely accommodating! Would 100% recommend. We had an amazing experience with Pascal and the musicians from Viola Dolce! Thank you so much! Helpful, punctual, talented and accommodating are just some of the adjectives I can think of to describe the trio. They played during the ceremony and cocktail hour and were just perfect! I'd hire them again in a second. Absolutely ecstatic to the professionalism of Viola Dolce and how they created an ambiance of romance and intimacy during our wedding and cocktails. Bravo!!! Price Range: Packages starting at $640. Pascal Piché (artistic director) is your wedding music coordinator: count on him to work with you and/or your wedding planner to ensure everything is prepared just the way you want. Pascal brings together a team of professional musicians: all of whom have years of performing experience & credentials from a university level music program. Each musician is vetted for professionalism & skill in performance. -Professional service: All musicians are classically trained and have years of performing experience. -Wide variety of repertoire including classical, light jazz, modern, & popular music. -Collaborative & actively involved music coordinator. -A reliable team = stress-free wedding music! Let’s celebrate love with music! 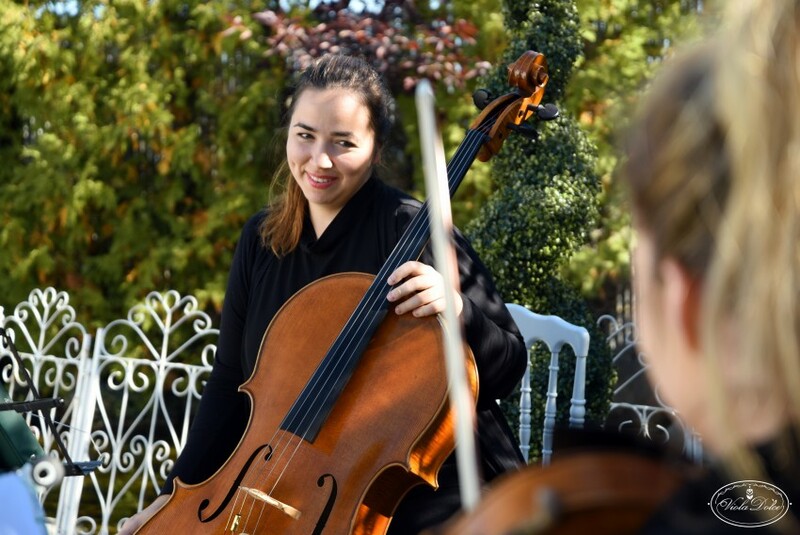 Viola Dolce offers music for any occasion in Montreal and surrounding areas. The ensemble is managed by violist Pascal Piché (BMus - McGill). Step 1: Contact us for a quote & complete information of our offered packages. Step 2: Select the perfect music for your wedding or event. We have video demos & song lists for you to browse. Special requests outside the repertoire lists are also possible. Step 3: Confirm your booking! Weddings, receptions, concerts, parties, ceremonies, cocktail hours, corporate functions, background music, ect. Packages offered include the string sextet, quartet & trio. One armless chair for each musician.